I cashed out the money that I earn from completing my Fiverr gigs. The money is peanuts but I wanted to try out the money withdrawal flow. 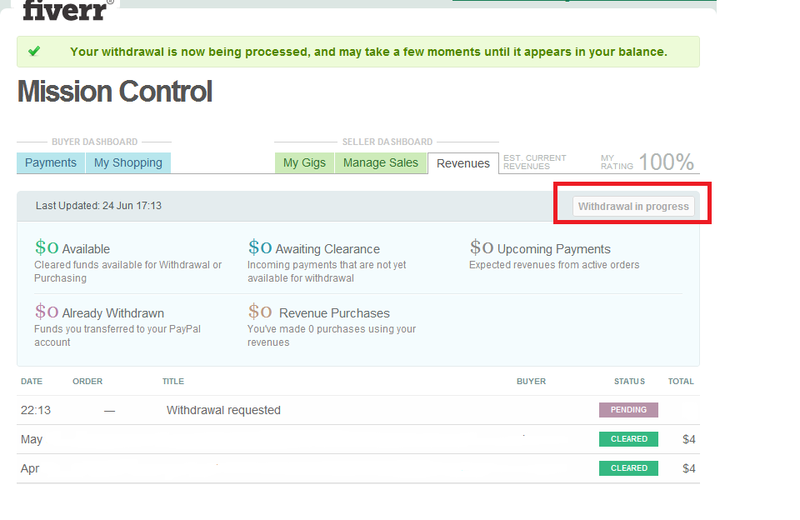 Initially, Fiverr only allowed withdrawal if your account reached a certain amount, if I am not mistaken is around ~USD40. Hence, roughly you need to complete around 10 gig requests. Thus, limitation prompted the netizen to doubt the legit-ness of the whole Fiverr business model. Luckily, Fiverr quickly responded and now there is NO such limitation. 1. You need a verified account for Paypal. To get a verified account, you need to give account information (credit card number, debit card, etc) to Paypal and follow thru the verification process. I am not going to discuss in detail about this crucial step. 3. 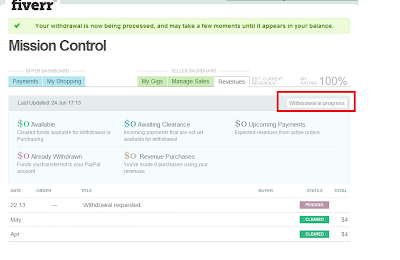 Fiverr will send an email link to verify the withdrawal transaction to your Paypal email address. Once you click that , the money is instantly received at your Paypal account. So FAST and EASY!!! PayPal's charges 2% of the total withdrawal sum, and up to a maximum of $1 when withdrawing revenues. Withdrawing $50 or more in one go will save you a little cash. Having paid the piper, the conversion turns out to be quite good. (expected to be good) I got a USD to RM conversion rate of ~3.10. Now the hard part is getting people to buy your Gigs at Fiverr. Here is the old post on how to get started on Fiverr. I haven't got chance to cash out my paypal money yet.